Discussion in 'SWNN News Feed' started by SWNN Probe, Nov 9, 2018. 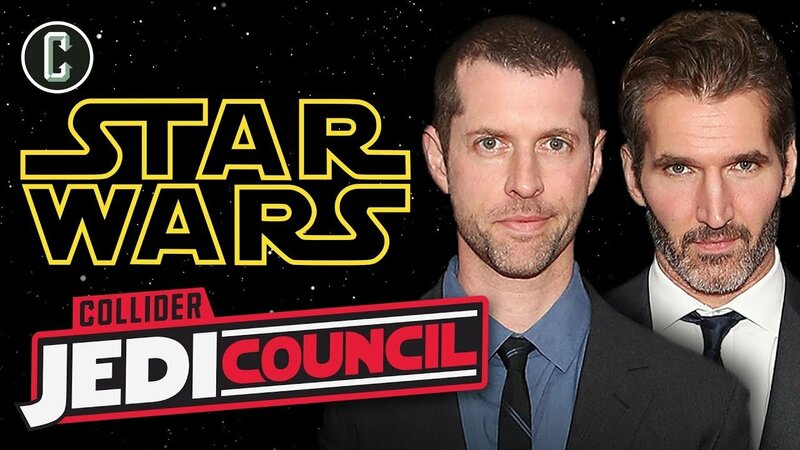 On this week's episode of Jedi Council, Kristian Harloff, Ken Napzok, and Perri Nemiroff discuss: David Benioff and D.B. Weiss start to work on their first Star Wars film immediately after Game of Thrones ends; J.J. Abrams seeking record-shattering overall megadeal; Richard E Grant tells Josh Horowitz on his Happy Sad Confused podcast about how he came to be in Star Wars: Episode IX and what may have gotten him the job; Did John Boyega tease that he might be using a lightsaber again in Star Wars: Episode IX? Industrial Light &amp; Magic opens TV division just in time for Disney’s new Star Wars show; Ashley Eckstein gives an update on what might be happening in Season 7 of Star Wars: The Clone Wars; Star Wars Resistance reveals an earlier Kylo Ren crime; The panel reviews Star Wars #56, Star Wars Han Solo: Imperial Cadet; and more. Great episode as always by CJC.